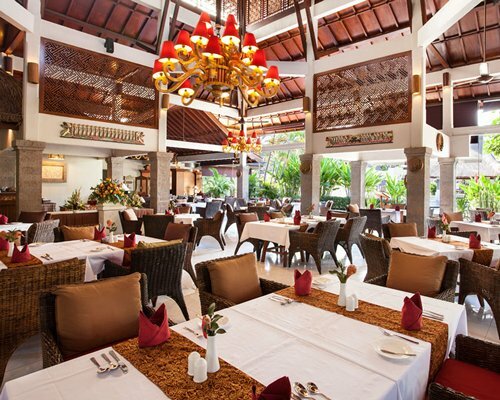 Rama Beach Kuta Resort & Villas features well-appointed and comfortable villas, all carefully designed to meet the differing preferences of our valued guests. 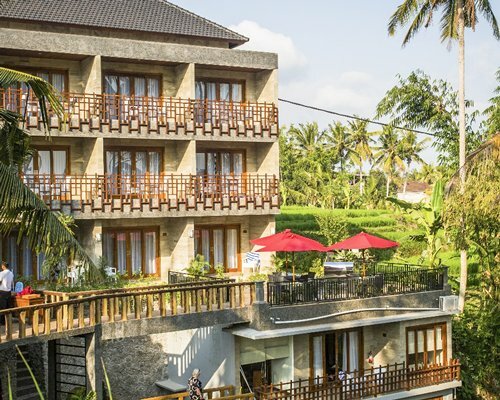 All room types are furnished and decorated in contemporary Balinese decor, and provided with 42 inch smart TV with International channels, complimentary internet access, coffee & tea making facility and well-stocked mini bar. 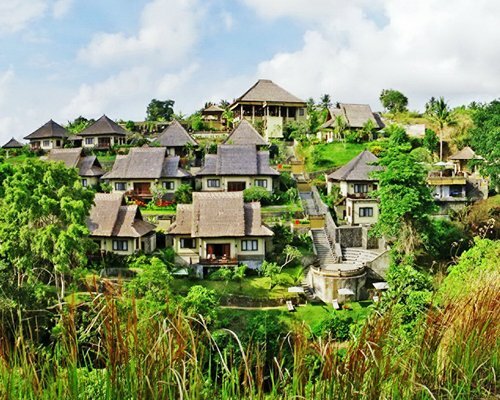 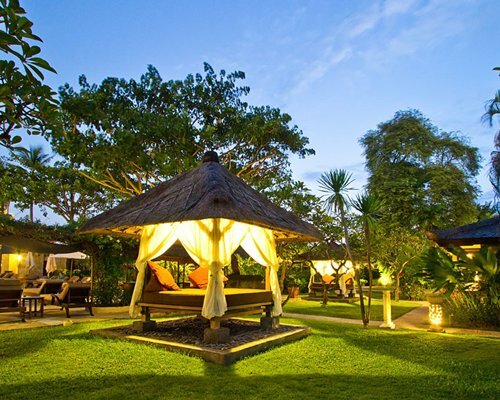 This resort also offers an open-air Dewi Shinta Restaurant serving the best in Indonesian and Balinese favorites in a charming setting surounding by water pond splashing , a swim-up sunken bar, two meeting rooms cater up to 100 people, a Balinese authentic treatment’s spa and massage by the intuitive touches of skillful therapists , gym facilities with full airconditioning, compliment fresh fruits and bottle mineral waters, outdoor pool with signature waterfall and well maintained private gazebo/Balinese Bale and Relaxation decks. 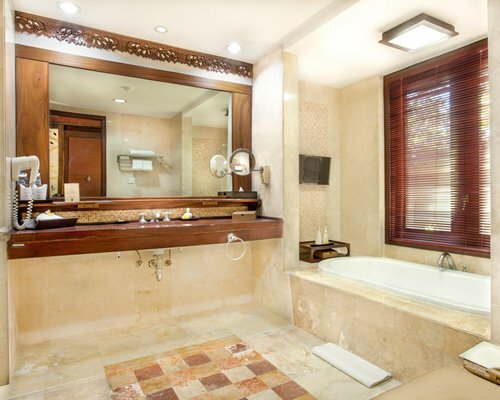 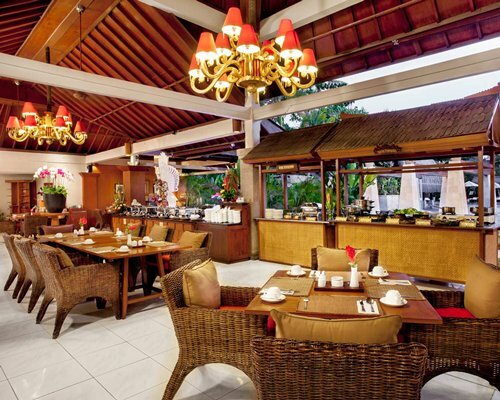 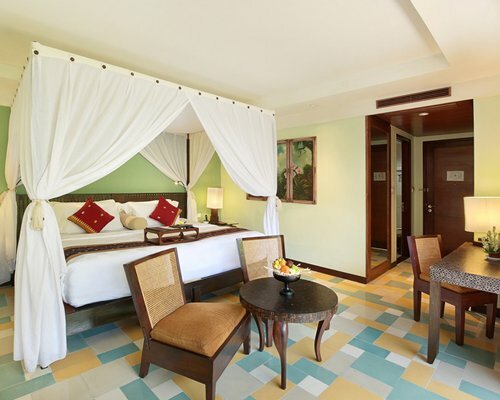 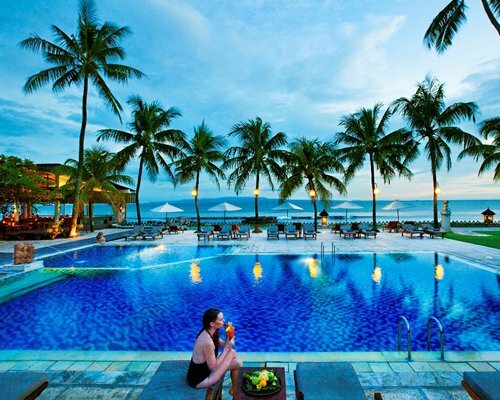 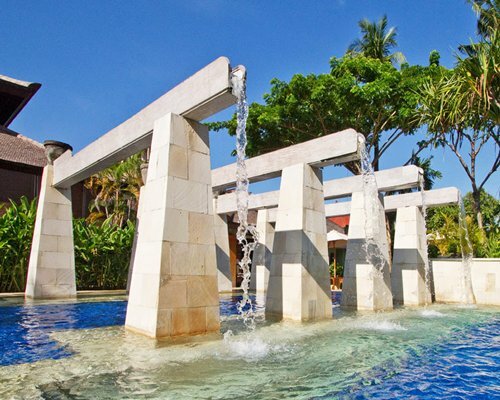 Whether you are on business or pleasure, Rama Beach Kuta Resort & Villas in South Kuta Bali is a luxurious haven, tastefully furnished to provide you with a most comfortable stay,Stress washes away under the gently cascading water with a flowers decor of the signature Rama & Shinta pond. 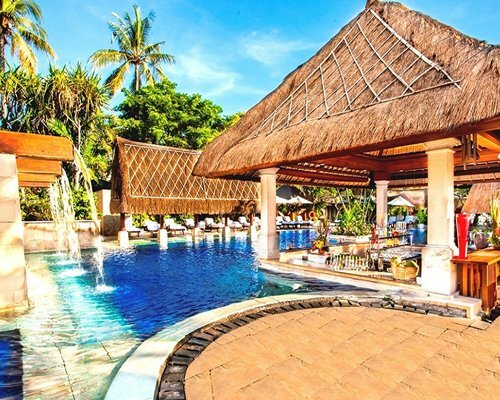 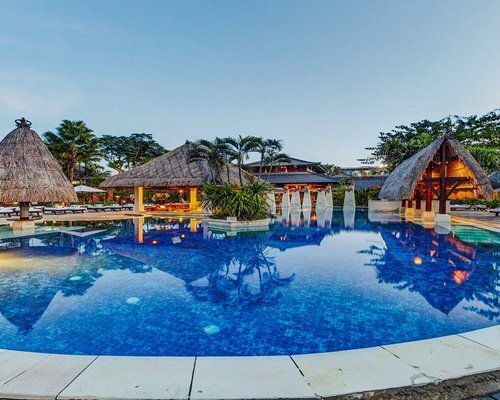 Experience the holiday with in house activities such as Cooking class,Fruit Carving class,dance lesson,Fun SPA school,weekly aerobic & yoga class become memorable for the sanctuary of life. 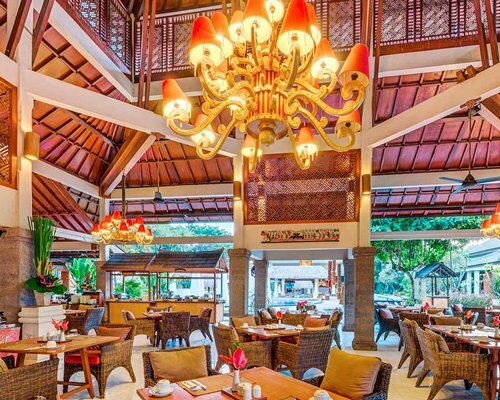 Located only 5 minutes from The airport by car, 5 minutes to Discovery Shopping Mall, Waterbom, Kuta Art Market.Free shuttle bus on schedule to lippo shopping mall nd kuta centre discovery shopping mall.30 minutes to Nusa dua and 20 minutes to legian and Seminyak by argo matter taxi. 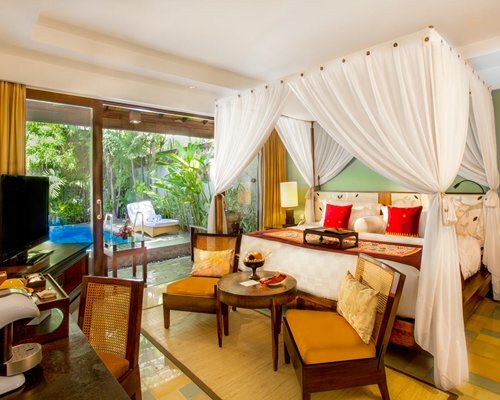 Extra Bed US$35.00 per night for all season. 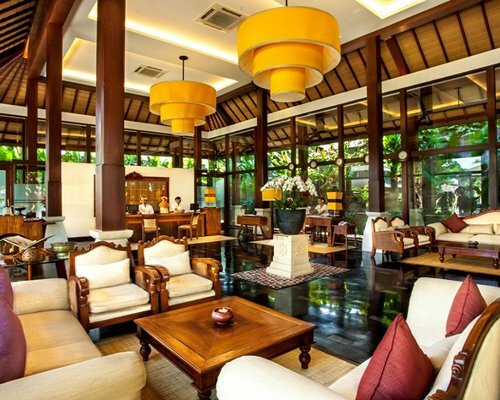 Please contact resort for arrangement. 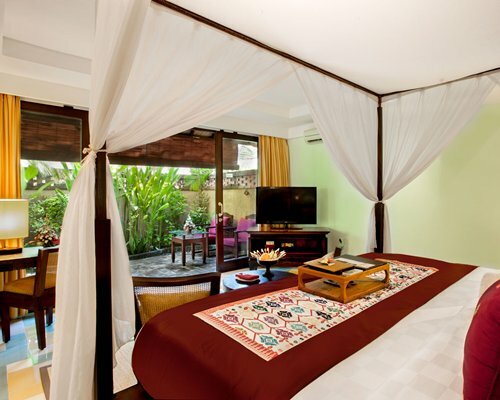 Unit number with Garden are Garden Villa and Unit with Pool are Pool Villa.